The law regulating business conduct and business relationships is both increasingly complex and increasingly significant. 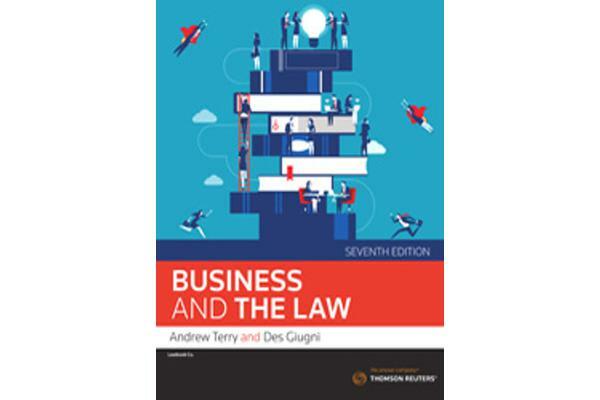 The seventh edition of Business and the Law has been written to offer students of business law a comprehensive yet accessible introduction to this law. It addresses the Australian legal system and the major areas of law impacting on business today. It is also a valuable resource for any business professional or small business requiring an intelligent introduction to contemporary business law and regulation in Australia. This new edition of this established and respected text has been substantially revised to incorporate significant legislative and common law developments since the sixth edition only three years ago. It includes a new chapter providing an introduction to corporate law but each chapter has been revised to incorporate new case law and legislation. Each of the 25 chapters have been impacted by the relentless development of the law and have been revised to accommodate new developments. In particular the seventh edition addresses reforms to competition law introduced to give effect to the recommendations of the Harper Competition Policy Review Report, the reforms flowing from the Australian Consumer Law Review and the Interim Report of Royal Commission into Misconduct in the Banking, Superannuation and Financial Services Industry. Business and the Law is academically rigorous but also accessible. It includes concise case examples as well as more comprehensive case studies of leading decisions to demonstrate how relevant laws are applied. Media items are liberally used to illustrate the relevance of business law to contemporary business and the “In Context” feature provides the opportunity to examine in more detail the application of the law discussed. Business and the Law, 7th Edition addresses the legal environment for business; the structures, transactions and relationships through which business is conducted; and the regulation of business in Australia. It addresses issues of real significance to each of Australia’s two million businesses – not only the very small percentage of large firms, but the medium, small and micro enterprises which comprise the vast majority. This book is a sensible investment for each of these businesses, as well as being a highly useful student text.